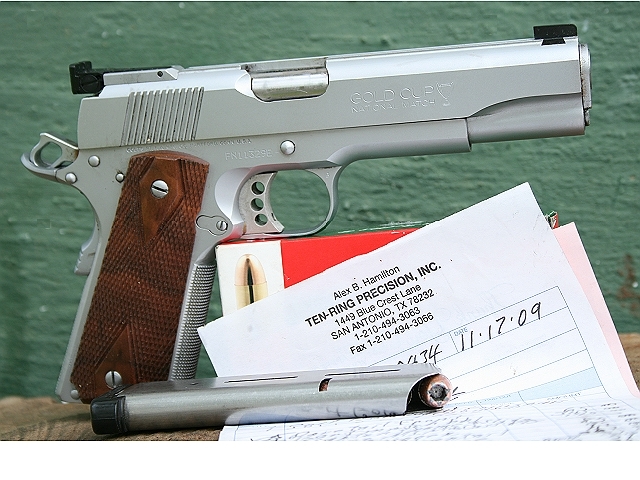 Welcome to our buyer’s guide to the 1911. If you’re not interested in a long winded in-depth guide and just want an immediate and basic recommendation, buy an $650-$1200 pistol chambered in .45 ACP with a Government length (5”) barrel from Springfield Armory, Colt, Smith & Wesson, SIG Sauer, Ruger, or Remington. The decision between each of those models and manufacturers will come down to price and preference. Before continuing, as a point of note, when I refer to the platform as the ‘M1911’ or simply the ‘1911’, what I truly mean is the M1911A1 and its modern derivatives. 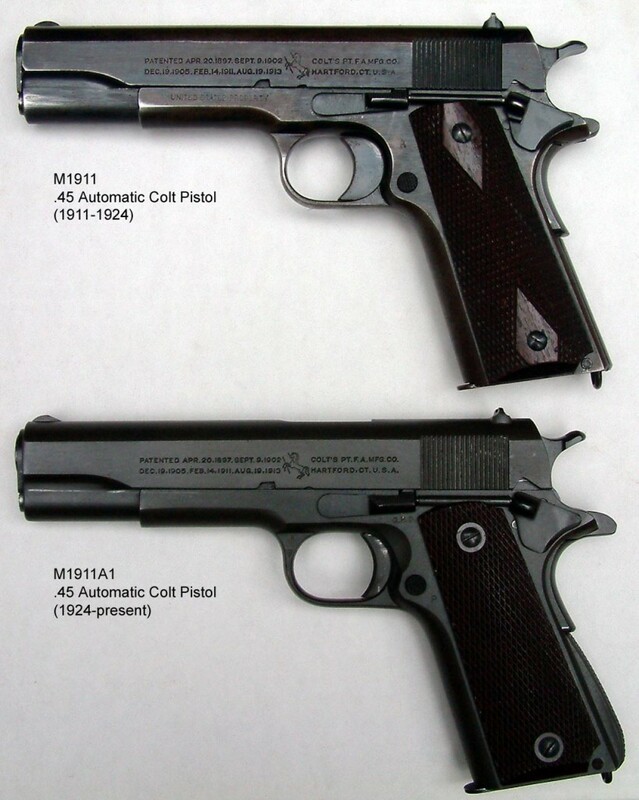 The original M1911 was modified with some small external changes in 1924 and was designated the M1911A1, although the longer title has never really entered common colloquialism. 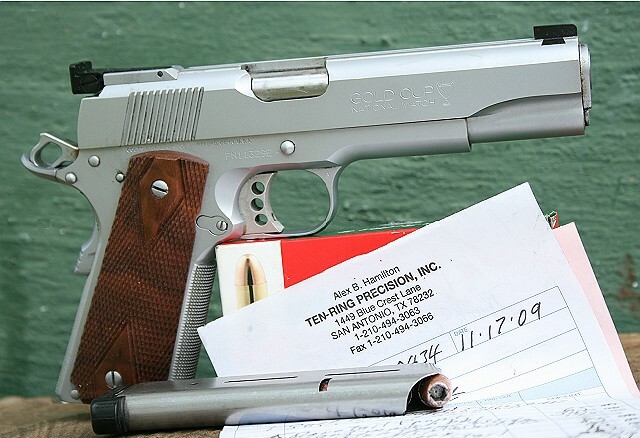 .45ACP: The cartridge the 1911 was originally designed for, this venerable round has been in service since the introduction of the handgun more than a century ago. Ballistics-wise, this cartridge is big and relatively slow. However, the in-depth discussion of it in relation to the rest of the ‘Big Three’ is a discussion for another day, though for a short introduction, you can check out our discussion of the ‘Big Three’ in our ZAUF series. In terms of magazine capacity, the original standard was seven rounds, with more modern standards set at 8, or if one is willing to use an extended magazine, 10. Of note, however, is that in a traditional 1911 chambered in .45 ACP, constant chambering and rechambering of the same round will result in bullet setback – when the bullet itself is pushed deeper into the brass from where it was originally seated. Cartridges suffering from bullet setback are dangerous to fire and should be removed from use. .357 SIG: This caliber is great – a solution to a problem that may or may not have existed – and has been adopted by a number of agencies including the Secret Service. However (and this is a rather large ‘however’), I do not believe the .357 SIG has any place in serious use with an M1911. With the .40 casing, this caliber only offers an absolutely minimal magazine capacity increase when compared to .45 ACP. It can also present issues caused by the necked casing. In short, if you want a gun in .357 SIG, the 1911 is not the best option. The grip safety is the lever-like protrusion at the rear of the pistol frame that is held up against the web of the firing hand and needs to be fully depressed for the pistol to fire. In theory, under stress the grip safety will be depressed because the firing hand will have an adrenaline-fueled vice grip on the pistol and won’t be an issue that requires discussion. However, after over 100 years of observation, there have been a number of incidents in which someone with a hand wound was unable to make the handgun function under stress due to being unable to deactivate the grip safety. Many consider this particular pitfall of the design to be one of the major downsides of the 1911 platform. It is of my opinion that the 1911 design is the only one that can get away with having a grip safety since modern handguns that lack the sliding trigger or the particular safety/sear combination of the original design have no reason to even consider it (looking at you, HS2000/Springfield XD.) Furthermore, the original design of the pistol lacks a firing pin safety of any sort, leaving the grip safety and manual safety as the only ‘safety’ features on the firearm. 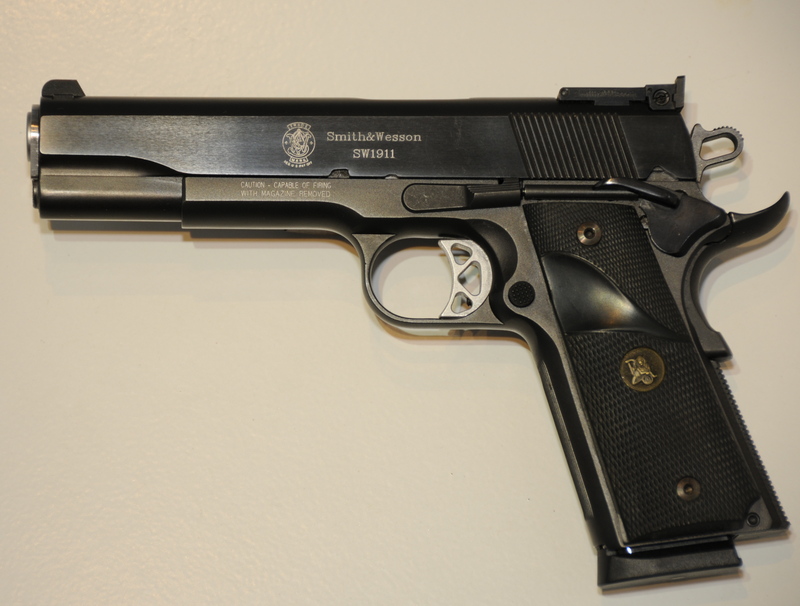 The 1911 is a single action handgun, meant to be carried ‘cocked and locked’, meaning that the hammer is locked back and there is a round in the chamber. Government: A 5 inch barrel, generally considered the ‘full size’ version of the 1911. This particular length is the one that was adopted for widespread service by the US Government and bears that title. Commander: A barrel about 4 inches long with shortened frame to match, this length is considered the ‘compact’ size of the M1911. Officer: The smallest of the lot, referring to a barrel approximately 3.5 inches long with an even more abbreviated frame. This length is considered the ‘subcompact’ size. 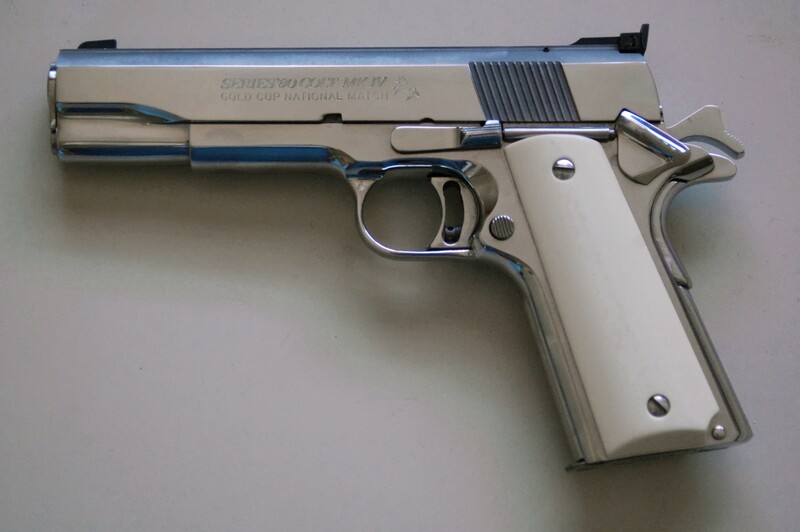 The M1911 operates with a fairly unique trigger system uncommon in modern designs. Unlike other pistol designs, the trigger of the 1911 slides into the frame instead of hinging on a single point like a lever. This translates to a smoother, more consistently rearward trigger pull for the end user. This more ‘luxurious’ trigger pull benefits everyone from the most basic paper puncher all the way up to professional shooting competitors with highly tuned raceguns, which continues to drive the popularity of the platform. Hybrid spec magazine feed lips allow the cartridge to spring free of the magazine’s control earlier in the feeding cycle for the purpose of improving reliability in feeding non-hardball ammunition such as hollowpoints and wadcutters. The lips themselves are generally shorter while preserving the taper of their GI derivations. For anyone with any experience with modern handguns, an external extractor is par for the course: accessible visually from the outside of the pistol, in the production of a given firearm an external extractor is much easier to deal with and doesn’t add any unforeseen costs to the production of the pistol. As it is with everything, mileage varied throughout some production models with various shifts in quality and reliability throughout the years, but modern production 1911s with external extractors will generally be reliable in their function. 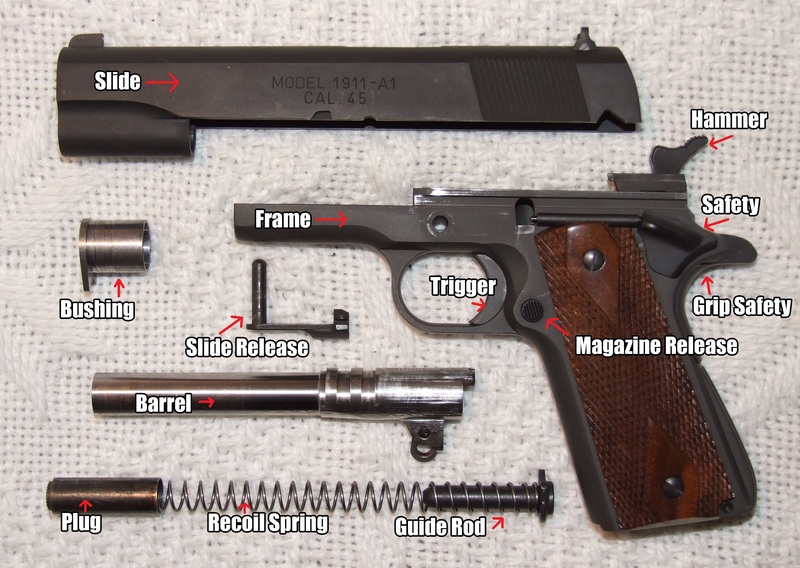 Referring once again to the original design of the 1911, the design required only a short rod tensioned with the mainspring against the recoil spring plug. A trend in modern 1911s has been to eschew that for an ‘improved’ design involving a two-piece full length guide rod that requires a tool (usually a hex wrench of some variety) to remove it from the frame. What many manufacturers will promise from this change in design is an inherent increase in accuracy for the weapon. From personal experience and the majority of anecdotes available for public perusal, there is no real evidence to support that statement beyond marketing hype. As a rule, I do not recommend opting for a full length guide rod in a 1911 purchase because it will only add unnecessary complexity without any added function.